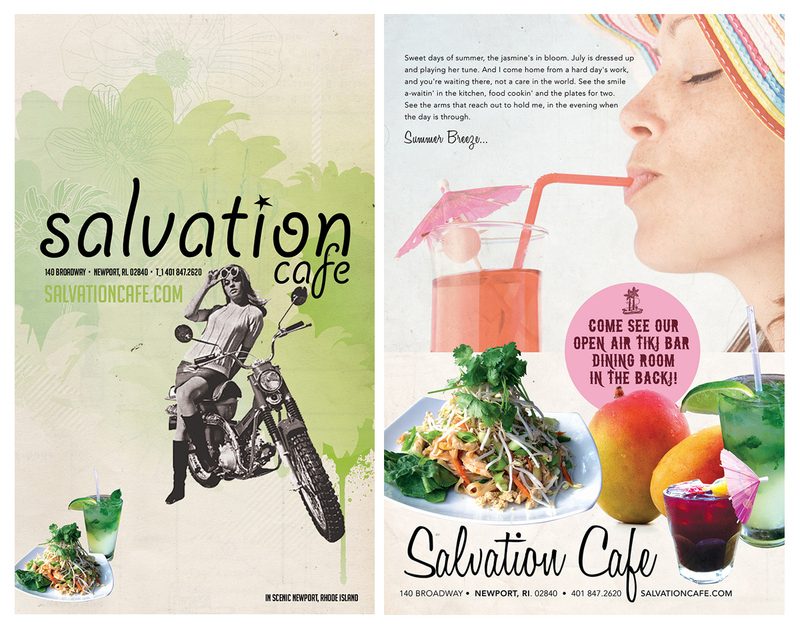 Overview of 15+ years of eclectic promotion for restaurant/bar Salvation Cafe. 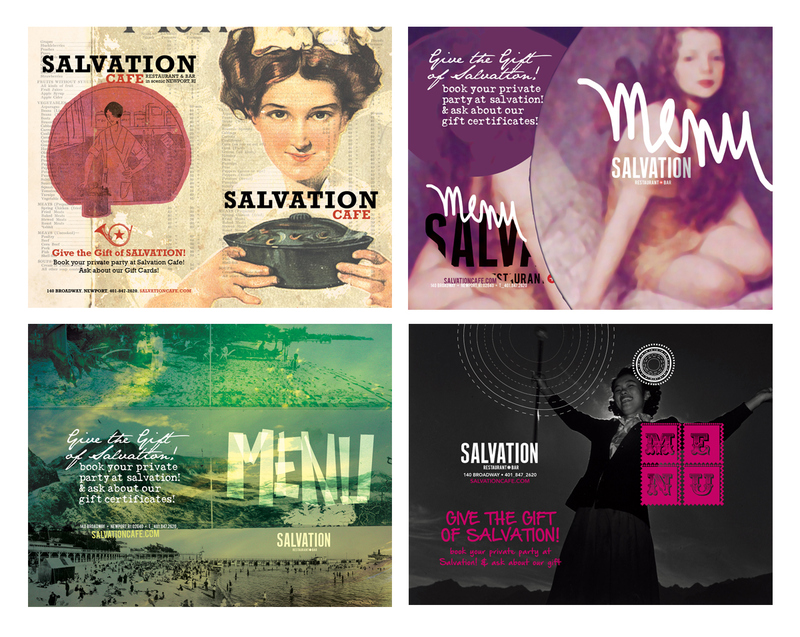 This is a small sampling of 15+ years of work for one of our very first clients, Salvation Cafe. 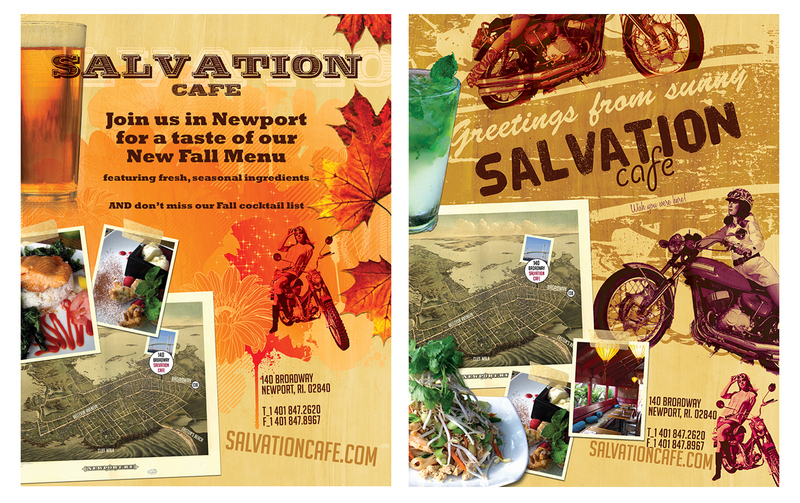 Salvation is a restaurant that started in a small shotgun space on Broadway in Newport, RI. 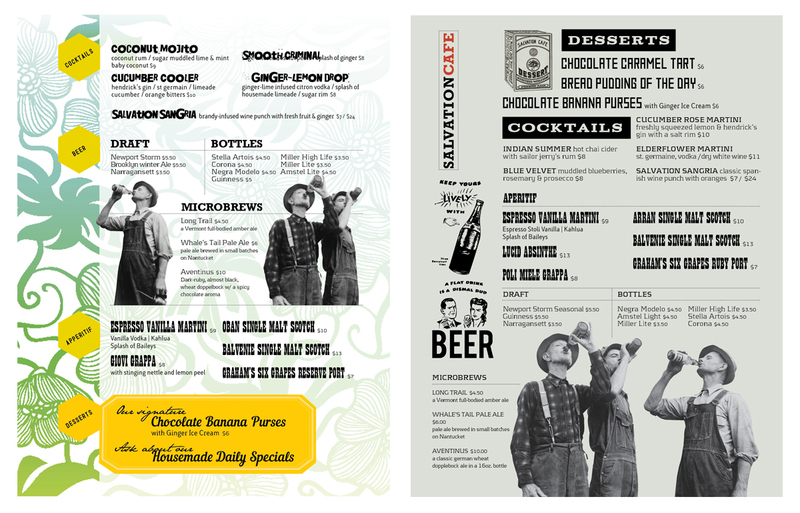 With its eclectic, colorful atmosphere & style it quickly became a bright star in the area restaurant/bar scene and launched what has now become a widely recognized restaurant district in Rhode Island. 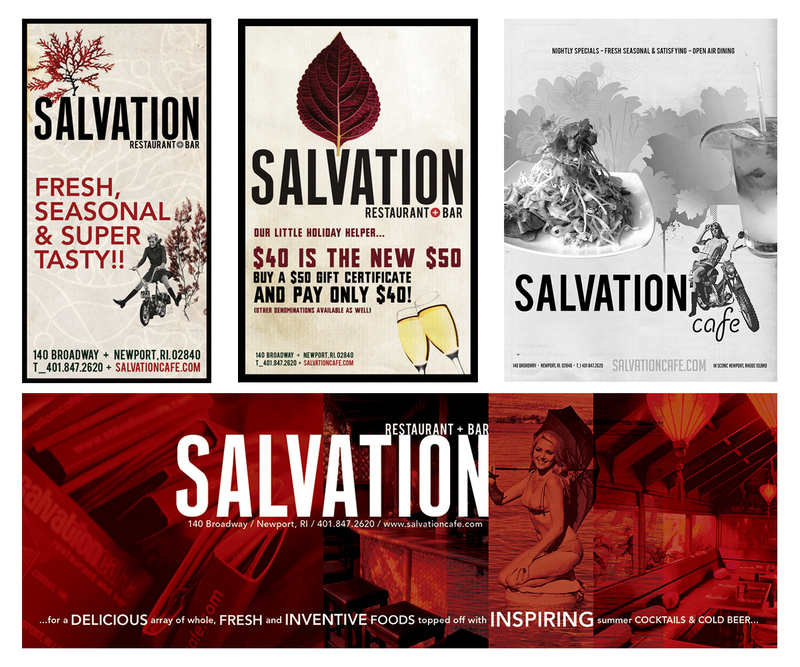 My graphic design company, Lakuna Design, began its own history with Salvation. 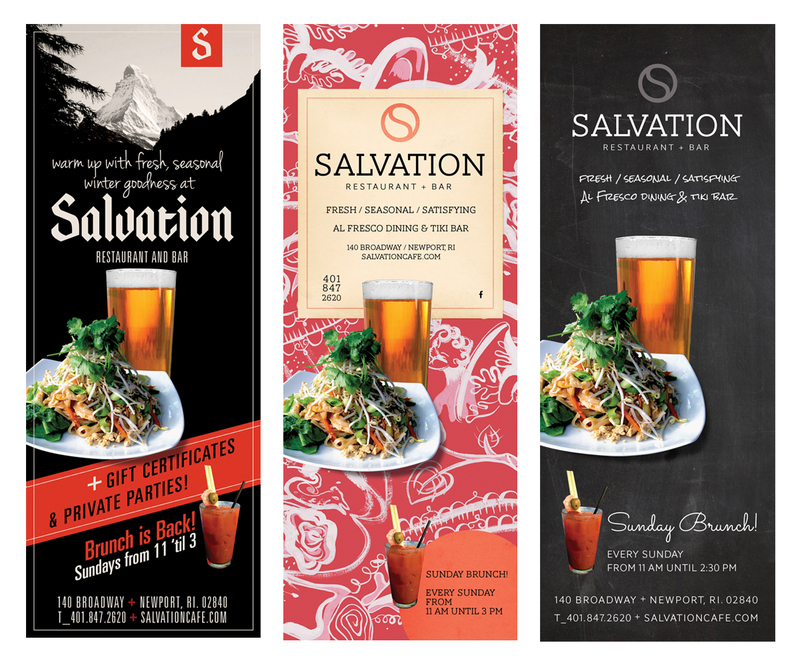 Because we've been given total freedom since day one, this project has always been our favorite "go-to" for experimenting with different graphic styles. In contrast with all of our other branding and promotion clients and in keeping with the Cafe's eclectic point of view—we've never established a standard logotype and our only visual brand standard is 'change'. This has been very effective in a smaller market where this kind of dynamic approach actually becomes a recognizable asset.